Phones and tablets – if equipped with necessary apps – prove powerful and useful when it comes to travelling… especially to countries like Russia. 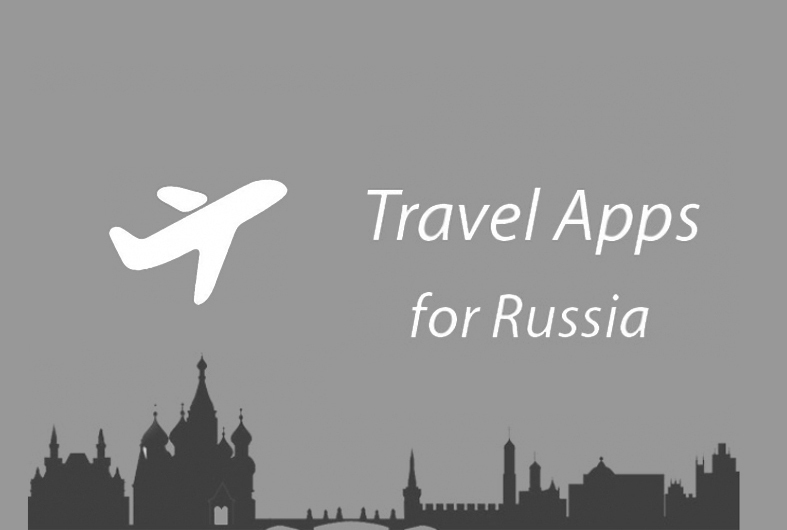 As experienced Moscow tour guides, we know what poses an issue for you here and are happy to share some great apps our customers found particularly handy. The local language will no longer be a barrier, and booking a taxi will be as easy as in London or New York! The apps below were tested on my iPhone and – based on numerous web reviews – work alike on Android / Windows devices. They are truly simple to use even for those who use a phone for very basic needs. Just give them a try and your travel to Russia will be a whole lot easier. If recently updated Google Translate Mobile application isn't already installed on your cell phone, do get one. It isn’t anything like an online translation service – a standard Google product. It’s way more powerful, very intuitive and user friendly, at the same time. It will help out during your trip to Russia. With this feature communicating with a Russian-speaking person will be a lot more fun. To turn on the speech mode, press the “mic” button and then press it again to get your voice recorded. When the app detects the language and the phrase, it will be instantly translated – spoken aloud and displayed on a screen – into a desired language. Once the two languages are set, the app will work fluidly, keeping the conversation going without the need to tap the mic again. Use short sentences and speak clearly. One should not expect a flawless oral translation of the War and Peace from it. Let’s be realistic – for important conversations, hire an interpreter or a Moscow tourist guide. Android devices' owners can download offline language files to use the App without an Internet connection. It is currently unavailable for iPhones or iPads. Yes – for Android devices with downloaded language files. No – for iOS devices. A stand-alone app previously, today World Lens is an improved and integrated feature of Google Translate Mobile Application. Reading menus or street sings in Russian will be as easy as 1-2-3! To turn on the mode, tap the “camera” button. Point your phone camera on a street sign written in Russian, for example, and get a translation on your screen immeditely. No need to take a photo shot or highlight the text with your finger, as with a previous version. The Internet connection is required to use some apps in this review. We recommend that you check the roaming costs upfront. To minimize mobile expenses while visiting Russia, get a local sim-card. It takes 5 minutes to purchase one, in any mobile operator store in Moscow or St. Petersburg, your passport is required. Obviously, Google Translate is also a powerful tool for written translations. To translate something, simply type it or talk to the Google Translate and get it done. As an overseas traveller to Russia, your every little effort to speak the local language will be rewarded. A simple Russian word “spasibo” (thank you) will open any door for you. And it absolutely does not matter whether you said it right or wrong. If you’d like to expand your vocabulary beyond this single word, and yet want something simple and rich with key survival Russian phrases, there is a great solution. English-Russian Travel Phrasebook by Mikhail Kolobov is what you’re likely to enjoy. Well-structured with sections “Basics”, “Greetings”, “Money”, “Emergency” etc. Up-to-date Russian Slang section – if you wish to impress someone! Great and simple design makes it a pleasure to use! Uber – a taxi service provider and worldwide giant operating in 55 countries – is now available in Moscow and St. Petersburg. With this great app, booking a taxi in these key Russian cities will no be different from getting a taxi service in London, Paris or New York! The main idea of Uber is simple: once the app is downloaded and your credit card or PayPal account information is provided, allow the app to locate your address on the map, enter a final destination, and be picked-up within minutes. Communication with a driver is reduced to zero! Many of them do not speak English. You can now get picked up from any location in the city, without the need to explain where you are and how to find you. Track your driver’s car on the map and see how close it is. No local cash required – the app charges your credit card automatically. If you aren’t a fan of Uber for any reason, then there is another fantastic moblie taxi App in Moscow and St. Petersburg – Get.Taxi. By its features, it is very similar to Uber. Very easy to book – communication with a <Russian-speaking> driver is reduced to zero! Russian Rubles is the only official currency in Russia. While you may be happy with a small copy of a Metro map included to every guidebook or local travel app, there is one which will probably become your favorite. It is Yandex.Metro. Apart from being simple and fun to use, it is the only application that will calculate your Metro travel time… and not only that! Enter the start and destination metro stations and the app will suggest the best rout – no need to look though nearly 200 Moscow metro stations to find yours! Learn which train car is better to take when changing lines – these guys really value your time! Works for both Moscow Metro and St. Petersburg Metro.